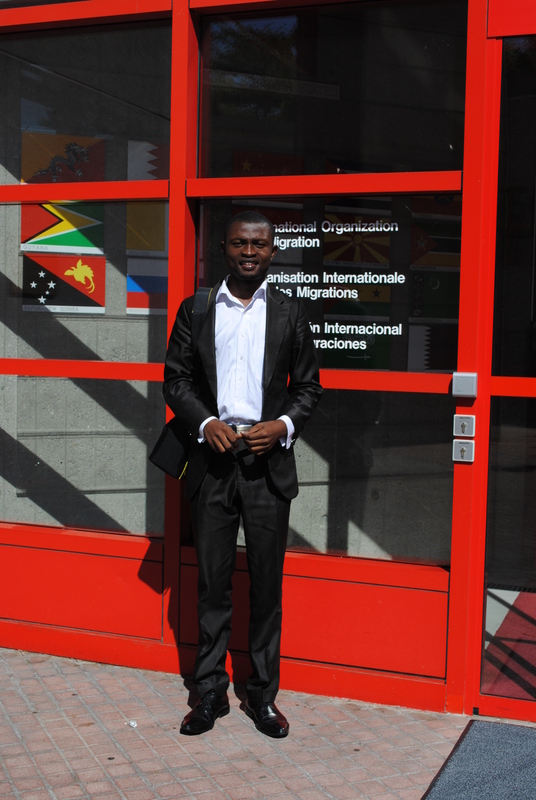 Yvon Mabofe has worked in the field of human rights for over 8 years. In 2011, he participated in drafting the first alternative report of the Cameroonian civil society on the implementation of economic, social and cultural rights. One year later, he contributed to the drafting of the first report on the protection of human rights defenders in Cameroon. Between 2009 and 2013, Yvon monitored several cases of arbitrary detention of human rights and a great deal about the prison environment in Cameroon. Since 2013, Mr. Mafobe has worked with an international organization involved in the promotion and protection of human rights in Côte d’Ivoire where he interacts daily with judicial, administrative, and civil society organizations on human rights issues. The Project: Mr. Mabofe project was designed to protect the right to a fair trial for prisoners living with HIV/AIDS. This group of detainees is often denied or delayed access to competent legal representation in court. His project aimed to create an advocacy group for the protection of human rights for these individuals as well as ensure the lobbying of decision makers in favor of prisoners living with HIV / AIDS. Results: The Advocacy Group created by Mr Mabofe worked to ensure justice for several prisoners with HIV/AIDS. The value of this work is well demonstrated by the release of 5 of these prisoners. It involved numerous steps. Prisoners with HIV/AIDS were identified and the charges against them documented. Following this intervention reports on the condition of detention were drafted and used to check the implementation of the Project. Another important achievement is represented by the creation of a platform aimed to facilitate the exchange of information related to prisoners with HIV/AIDS. Lastly, weekly meetings with the prison and judiciary staff were organized in order to update them on information gradually collected.